As mortgage industry veterans, we present opportunities, connections, and ideas to help you realize them. For over 33 years, Corporate Resources Group has focused on one thing: helping our mortgage banking clients uncover and seize business opportunities. As a niche firm that is laser-focused on the mortgage banking industry, we are uniquely positioned to help you “connect the dots” and strategically execute plans for business growth, career growth, or acquisition. Our team provides executive search and recruiting services, in addition to consulting and acquisition advisory services for top 100 regional and national mortgage banking firms from its headquarters in beautiful Orlando, Florida. Serving the entire United States, our team of talented, industry experts help our clients build successful companies and successful careers while cultivating limitless opportunities. We pride ourselves in going beyond a “professional service” to fostering professional partnerships and long-term personal relationships that lead to success. There’s no question that in today’s regulatory and competitive environment, growing your mortgage banking firm comes with its fair share of challenges. However, armed with the right strategy, connections, and a focus on execution, the opportunity for growth is limitless. Whether you’re seeking to grow your firm organically or through strategic acquisition, Corporate Resources Group can help you achieve EXTRAORDINARY RESULTS. Growth is all about talent. 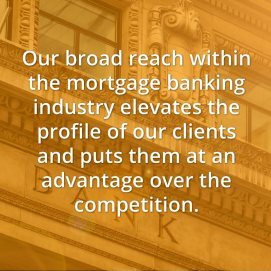 In our role as your search partner, we scour our significant mortgage banking network to identify the “over achievers” – sourcing both top producing individuals and mortgage production teams that can move the needle for your firm. We engage with the most qualified candidates at a deep level to ensure they possess NOT ONLY the required knowledge and skills but that they’re a fit for your unique culture. When you look past the tactics, success always comes down to relationships. And it’s the over 33 years of relationship building that we leverage to identify and nurture acquisition targets for our clients. We NEVER take a shotgun approach. Instead, we take time to understand your firm’s vision, your goals, and your culture. Only then do we take a highly strategic approach to identifying potential targets – making sure to promote your firm’s brand, image, and reputation during the course of our work. Want to Learn More About Growth through Acquisition? Are You Realizing Your True Potential? We all WANT to realize our true potential, to fully utilize our capabilities… and to be paid what we’re worth. Unfortunately, achieving this can sometimes be tough. It requires not only your best capabilities and motivation, but is ALSO requires you be in the right environment – the environment that can set the stage for (and help you achieve) extraordinary success. That’s one of our core passions at Corporate Resources Group. We work with the industry’s top tier talent, and we help them find an environment where they can thrive. And we make it happen skillfully, facilitating confidential introductions so you can explore opportunities with total confidence. To be candid, we don’t work with average candidates. Our clients are ALWAYS a huge cut-above the mainstream pool of mortgage banking firms, and they count on us to connect them with the mortgage industry’s best and the brightest. If you have a proven track record of performance and a mindset for success, we should talk. It could very well be the smartest thing you’ll ever do for your career! I'M READY TO REALIZE MY TRUE POTENTIAL! You’ve put in the work and built a viable business in a highly competitive industry. For years, your focus has been on others – your clients and your employees. Now, your thoughts may be turning to yourself and your family… realizing the rewards that can come from years spent building your business. Nothing is more satisfying for Corporate Resources Group than to help make your desired exit strategy a reality. Our niche focus and more than 33 years’ experience in the industry puts us in a very unique position to connect motivated buyers and sellers. However, unlike a large business brokers who rely on impersonal listings, our approach is highly personal and relationship-based. That means we take the time to understand what YOU desire in a transaction and what type of buyer is likely to be the best fit. If you’re considering selling, we’re ready to put our connections to work for you! 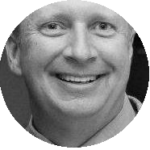 For over 30 years Cameron Bennett has devoted his career to developing relationships with the mortgage industries most talented and respected professionals. Today, many of these men and women operate, or own and operate, some of the most successful mortgage companies in the industry. During his successful career assisting mortgage professionals find their niche, Cameron recognized an important fact; while talented and hardworking managers are a critical part of any company’s success, it is only by acquiring other successful companies that his clients could make rapid strides in exponentially growing the size of their companies. As a result of this realization, Cameron established a new division within CRG which concentrates on helping companies seek out and then acquire other successful companies which have outstanding personnel and cultures. This division works closely with entrepreneurs who have grown successful mortgage companies and who have reached the point where they are ready to execute an exit strategy. This division focuses on the sale and acquisition of companies from 100 million dollars to 4 billion dollars in production. Cameron’s many years as an owner and operator of a successful executive recruiting firm as well as other successful companies has given Cameron insight into the needs of companies, both large and small, in relation to managing and growing companies. Cameron’s playbook has always included optimism and a passion for what he was doing. He is always questioning how things can be done better. In considering the possibilities of any particular move, he measures the risks and then takes the calculated steps to execute and deliver. In this he pushes the boundaries of individuals and companies and challenges each and every person to bring their best. Success Starts with a Conversation. Fill out the form or give us a call to schedule a time to speak with a Corporate Resources Group expert.